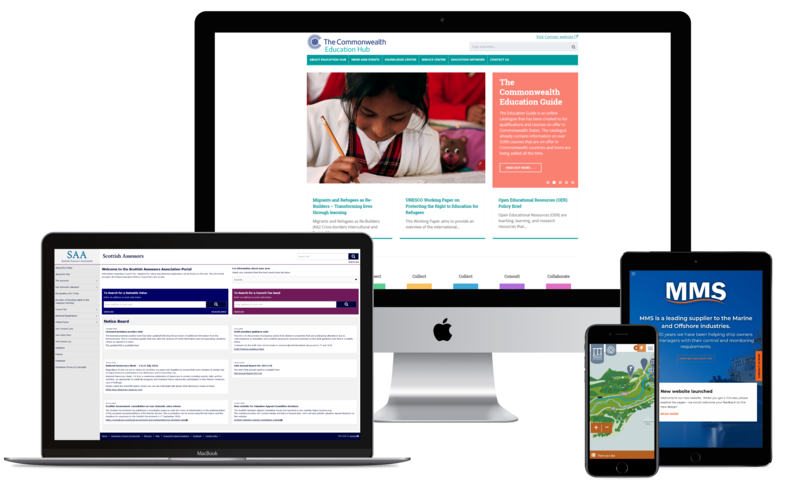 In 2016, Thame Town Council appointed us to design, build and deliver a modern, mobile-friendly website that reflects the diverse nature of the idyllic market town, and the council’s approach to local governance. When Thame Town Council came to us, they were aware that people were turning more and more to the web to obtain information, and their previous website failed to deliver this in a meaningful way. For prospective visitors to the town, the previous site failed to reflect the town’s community feel. It was essential, therefore, that the new website strengthened public perception, met the needs of several stakeholders; including residents, local business owners, professionals and visitors, and instilled confidence and trust in the council. As Thame is a thriving town with a unique heritage and dynamic future, we wanted to convey a sense of history and prosperity in the site’s visual design, whilst encouraging users to explore the information on offer. The site provides an abundance of useful information to users, from visitor information and local business networking, through to councillor contacts and job vacancies. Users can also pay parking fines, report maintenance problems and receive regular updates from the council on a number of topics. Local news, a community-supported events calendar and detailed service pages also help to reaffirm the town’s supportive and close-knit feel. Dedicated community and business directories a promotional outlet for upcoming listings. Residents and business owners can manage these via their own accounts on the site. 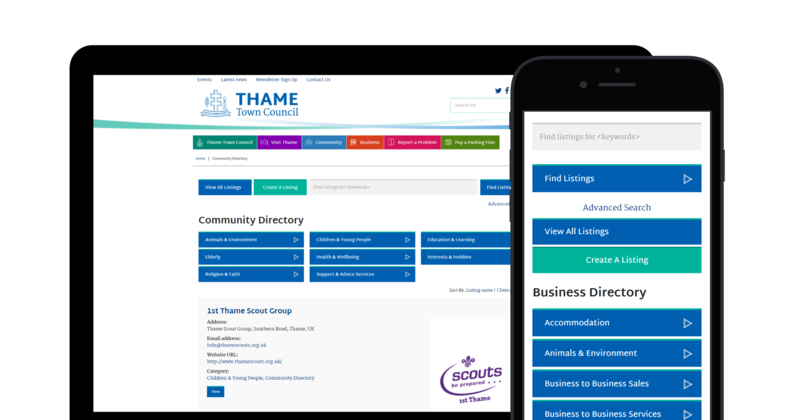 We continue to work with Thame Town Council on the development of the site, collaborating on features and making improvements that ensure users have a positive experience and return regularly. 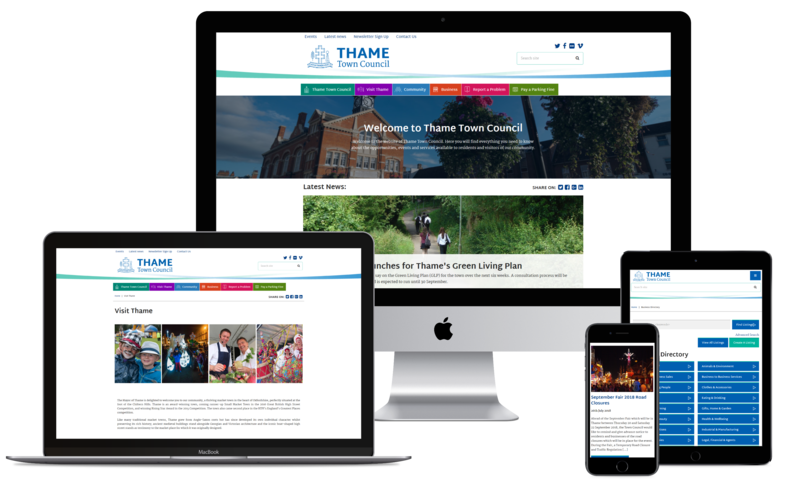 The refreshed website we delivered to Thame Town Council represents a significant milestone for residents, tourists and professionals situated throughout the market town. The site provides a wealth of information, encourages channel shift for public services and ensures the council keeps up with very latest technologies.